We are always in need of donations to help pay for things like postage, stationery and telephone charges (we write a lot of letters and make many calls on behalf of our clients). Via our Golden Giving page, which also allows you to donate to us safely and securely and to add in Gift Aid just by by ticking a box. If you’d prefer to donate by cash, cheque or regular standing order, we’re happy to help. For regular standing order payments, please download & complete our Regular Donation Form. For cheques, please make payable to ‘Epsom & Ewell Citizens Advice Bureau’, and if you mark it for the attention of the CEO, she will be most delighted to receive it (and write you a thank you letter). For cash donations, please drop in to see us at our Old Town Hall office anytime between 9am & 5pm any week day. Our postal address is: The Old Town Hall, The Parade, Epsom, KT18 5AG. We’ll then send them to Recycle 4 Charity who will then make a donation in return. Simply pop in to the bureau to drop them off or contact pf@caee.org.uk to arrange an alternative. Inkjets cartridges are the ones that fit in the palm of your hand and have a circuit board on the bottom. They need to be in good (usable) condition, and sadly we cannot accept any that have been refilled. Each wanted cartridge that is recycled can raise up to £1. Eligible brands include HP, Dell, Lexmark, Canon, Samsung, Neopost. Each phone can make up to £70! They still have value even if your phone is broken, faulty or locked. We have events through the year to raise funds – see our News page for what’s upcoming. Why not join us at one of our social events, such as the ever popular Quiz Night, where we raise money by giving you a great night out. Or see our sponsored events, such as the Great Legal Walk, or our Great Legal Bake Cake Sale. If you’d like to organise your own event, come and talk to us. We’d love to hear from you! Become a Friend of Citizens Advice Epsom & Ewell, and we’ll send you our periodic newsletter, plus news of events and happenings in our world. Subscribe to our Newsletter. There are many ways you can help us. Visit our Support from Business page or Contact Us. By leaving us a gift in your will. Use AmazonSmile when you shop online. 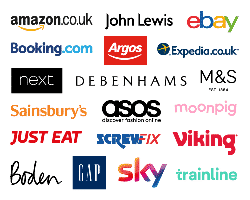 Amazon will donate 0.5% of the net purchase price (excluding VAT, returns and shipping fees) of eligible purchases. AmazonSmile is the same Amazon you know. Same products, same prices, same service. 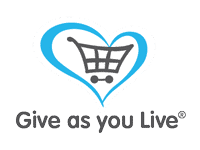 By using Give as You Live when you shop online. By using Everyclick to search the web – it helps us and costs you nothing! By playing our Unity Lottery. By selling and/or donating via ebay.